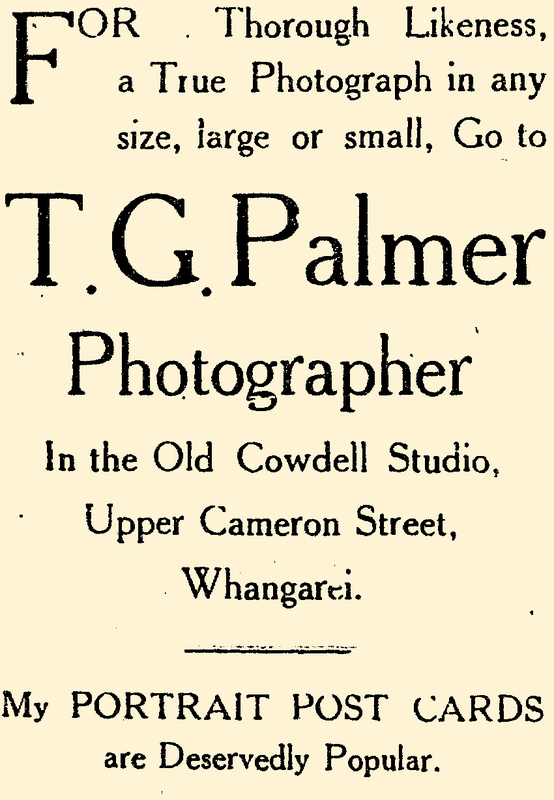 The well-known photographic studio (late Cowdell's) in Upper Cameron Street has been taken over by Mr T. G. Palmer, who has been connected with the studio for many years. 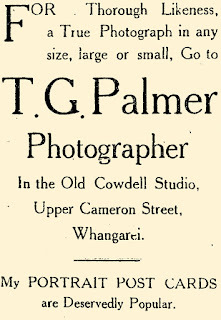 The studio possesses a modern equipment and Mr Palmer intends to produce only high-class and artistic photographs and enlargements. 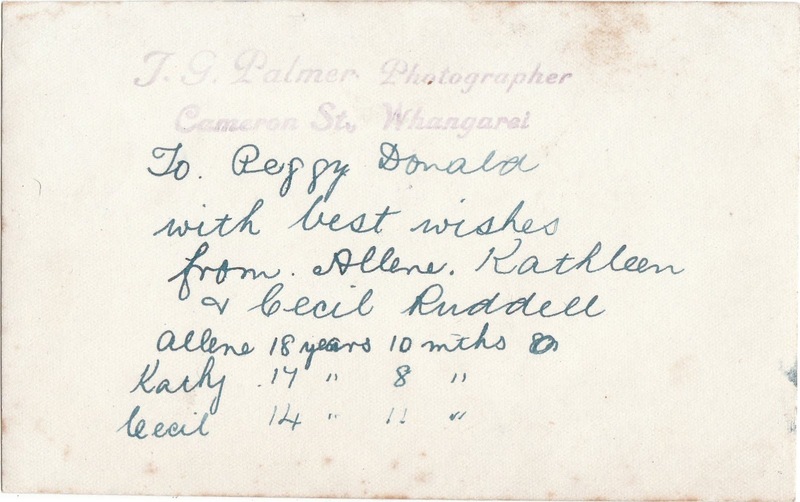 Picture framing will also form a branch of the business, and as the complete stock of Mr Cowdell's negatives are kept, Mr Palmer will be able at any time to execute orders for photographs taken by the previous proprietors. by Thomas Grice Palmer, Whangerei. 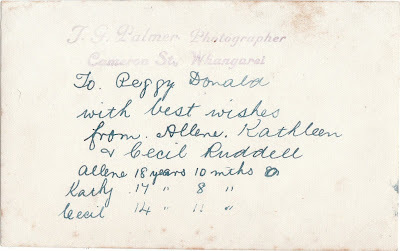 Allene Ruddell married Alexander Thomas Pollock in 1920, Kathy married Robert Pollock in 1922 and Cecil Ruddell married Ruby Hinemoa Massey in 1928. 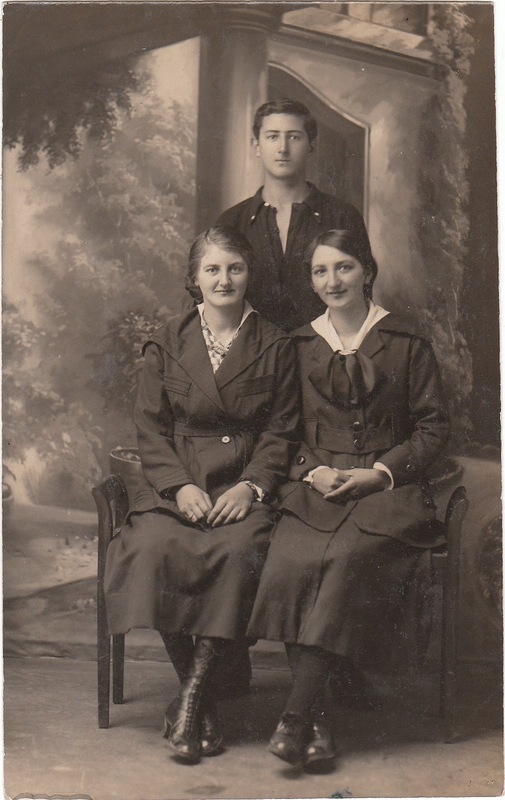 This is a wonderful photo of my grand father and two great aunts. I have never seen a photo of them so young.